Diagnosis comes from the Greek through, thoroughly and to know, perceive – and for this student, diagnosis helped her thoroughly know herself. That’s how my best friend reacted when I revealed my attention deficit hyperactivity disorder (ADHD) diagnosis. He’d known me since I was six, and he had seen what a chatterbox I always was. He knew I would forget to raise my hand sometimes before blurting out an answer. When I wasn’t chatting away during class, I often sat quietly, immersed in my own elaborate daydream, and the next thing I knew, the class was splitting off into groups for some assignment and I’d ask, “Wait, so what are we doing?” I knew he grew tired of my constant tardiness, and I was embarrassed by my messy room, though cleaning it always seemed too overwhelming. He saw me procrastinate on projects, and he comforted me through my volatile emotions. But I had no explanation except my own shortcomings for nearly 20 years. When I went off to college, I struggled to tackle the hours of homework before me. I sat in the library with friends, wondering how they could just sit there and write a paper without having to take breaks every five minutes for a BuzzFeed quiz. I read online that behavioral troubles and academic struggles were common symptoms of ADHD. I realized my inability to focus wasn’t normal, but I doubted I could have ADHD. My teachers often laid into me for talking too much, but I never really got in trouble. I’d always struggled to focus in school, but I still made great grades. So how could I have it? Throughout Spring Quarter, I kept telling myself I’d see a doctor, then continually put it off. Over the summer, I continued to doubt my hunch, but I finally made an appointment just before beginning school in September. I received a diagnosis for predominantly inattentive ADHD. It wasn’t exactly good news, but I couldn’t help feeling excited at the discovery of a name for what I’d been experiencing my whole life; all of the symptoms I’d grown up with weren’t just my fault. Suddenly, I had a new identity, and it came with new medicines, stigmas, misconceptions and understandings of myself. I realized that for 19 years, I’d been navigating a world that was not built for my brain. For the past year, I’d been traversing an environment that can be especially difficult for those whose brains don’t function typically, from hours of unstructured work to intense academic competition. But I realized that I was not alone in these struggles – Northwestern is full of students like me, learning what it means to live in a world not designed for us. More specifically, I’m not the only young woman dealing with the discovery of a new diagnosis. “In general, women get identified as having ADHD later than males do, in part because of the manifestations being different,” says Steven Zecker, associate professor of Communication Sciences and Disorders in the School of Communication. Boys with ADHD more commonly display high levels of hyperactivity, and these are the cases that are typically identified in early childhood. Girls are more likely to have the inattentive symptoms of ADHD, which tend to be identified later. The less visible symptoms that fall under the inattentive category are more difficult for parents and teachers to notice, so many girls are not diagnosed until later in life. According to a January 18 report from the Centers and for Disease Control and Prevention, the number of privately insured U.S. women ages 15-44 who filled a prescription for medication to treat ADHD increased 344 percent between 2003 and 2015; and this increase was largest for women in their late 20s and early 30s. I am one of these women. When I realized how different it looked to have predominantly inattentive ADHD, it all made sense. Although you might have found me shaking my leg or twirling my pencil in class as a kid, you were more likely to find me checked out into an extensive daydream. SESP junior Eli Diamond is also in this group – she was diagnosed with ADHD during her freshman year at Northwestern. “A lot of the things that people with ADHD struggle with, like organization, are things that are coded as feminine,” she says. “So when you struggle with them, people just assume that it has something to do with not being feminine enough or is somehow a character flaw and not something that is disordered.” Diamond, who has been out as gay since she was 16, has acutely felt the stigma of not being feminine enough. Gender is not the only identity that creates disparities in ADHD diagnoses – children of color are also less likely to be diagnosed. Diamond’s experience with ADHD and its intersection with her other identities has influenced her career and education decisions. After learning about the way her brain works, she decided to major in human development and psychological services, and plans to go into counseling or psychology to work with people with ADHD and other disabilities after graduation. “It’s just really important to me that not all girls or kids of color have to wait until they’re 20 and struggling,” she says. ADHD was first classified in the Diagnostic and Statistical Manual of Mental Disorders (DSM) II in 1968 as “Hyperkinetic Reaction of Childhood.” The term ADHD was first introduced in the revised edition of the DSM-III, eliminating ADD without hyperactivity. Finally, in 1994, the DSM-IV added three subtypes of ADHD – predominantly inattentive, predominantly hyperactive-impulsive and combined. The DSM-V of 2013 has not changed the core criteria for diagnosing ADHD, but it added examples of what the criteria looks like in older adolescents and adults. Awareness of less-visible symptoms has been increasing, according to Zecker. The new definition shows a better understanding of the inattentive component that tends to affect women, and the recent changes show growing emphasis on the ways in which ADHD manifests in adults. Still, misconceptions remain. The hyperactive symptoms often appear to wane, and from the outside, it may seem like the disorder has disappeared. But this isn’t the case. “You just don’t see 21-year-olds who can’t stay in their seat and are running around a classroom or a lecture,” Zecker says. “But for many individuals who have a history of overactivity, there are feelings of restlessness that are every bit as debilitating as actually doing it.” Individuals with ADHD may get better at concealing their disorder, but that doesn’t mean they’ve outgrown it. The ability to mask hyperactivity isn’t the only reason many are skeptical of ADHD. Since our behavior varies so much, we may seem more hyperactive or inattentive one day than another, and this leads to the belief that we choose when we experience these symptoms. Peers may think, “You were fine yesterday, why are you struggling today?” I have asked myself that question countless times – why can’t I get myself to do what I know I’m capable of? But now I realize that it’s just the nature of my disorder. One day I can hyperfocus on a paper, and the next I’m struggling to write a full sentence without getting distracted. One of the most common misconceptions about ADHD is that it simply isn’t real. Skim the internet for a few minutes and you’ll find countless articles and blog posts claiming that it was invented by Big Pharma to get children addicted to drugs. Everyone can get distracted or feel hyper sometimes, so why is it a disability? It’s true that everyone gets distracted sometimes, but that’s not all ADHD is. The skepticism surrounding ADHD adds to the struggles that students with ADHD already face. “If people can’t see it, a lot of the time they don’t believe that it’s there, which makes access to various resources a lot more difficult,” says Scott Gerson, a SESP student who graduated in Fall 2017. Being diagnosed as an adult came with its own unique set of stigmas and misconceptions. I internalized these comments and procrastinated seeking help. As individuals with ADHD age, their challenges become increasingly difficult. Many students, like Diamond and myself, can develop strategies to deal with our struggles as children and teenagers, but find this harder to do with the intense workload and lack of structure in college. Schwartz has observed similar patterns among his patients. “You’re only in class 10 or 15 hours a week, and setting a schedule can be disconcerting for somebody who has ADHD,” he says. Even for those whose ADHD was undetected in high school, the lack of structure upends traditional coping mechanisms. “This idea that learning disabilities or cognitive disabilities are only present in kids and adults who aren’t smart is a ridiculous stigma, and it’s just not true at all,” Diamond says. Although most discussions of ADHD focus on how it affects schoolwork and classroom behavior, it pervades all aspects of life, from college parties to everyday social interactions. “I think people don’t have any concept of how much ADHD can impact one’s kind of mental health, one’s friendships, one’s social life,” May says. People with ADHD often struggle with sensory integration, which means they have trouble filtering important stimuli from unimportant stimuli. Typical college environments, like crowded basement parties, can overwhelm someone who has trouble ignoring irrelevant stimuli. “I would go to [parties] and I would have fun, but a lot of the time being in a loud room with a lot of people who I don’t know, it’s just overwhelming and kind of unpleasant,” Diamond says. Other common characteristics of ADHD, like impulsiveness and issues with time management, can cause problems with friends. “The person often is late and that irritates people because it makes them think that the other people’s time isn’t important,” Schwartz says. I used to laugh about being known as the perpetually late friend, but I still felt guilty every time I kept someone waiting with my tardiness. It always seemed like no matter how hard I tried to be punctual, my clock was running at a different pace. For McCormick junior Ryan Albelda, part of having ADHD has been learning to apologize. “I do interrupt people, but I’ve learned I have no shame in saying sorry,” she says. After receiving my diagnosis, my next step was to begin medication, which came with its own set of challenges. Two of the most common side effects are loss of appetite and insomnia. For individuals with ADHD, forgetting to eat can be a common occurrence, and having a suppressed appetite doesn’t help. ADHD medication can be a double-edged sword: the drugs help your mind, but a shortage of food and sleep makes it difficult to care for your body. For me, the most difficult part was adjusting to the fact that my brain was functioning differently. It’s easy to forget while taking medicine that it’s not just giving me the ability to focus better – it’s changing my brain chemistry. On medication, I finally felt like I was able to focus as much as my peers, and my brain was able to view the work ahead of me in a linear, task-oriented way. Yet being this way has sometimes made it difficult to transition from work to relaxation in the same way my peers do. My experience with medicine has been positive overall, but it’s never a simple process to adjust to changes in brain functioning. It’s a complex, ongoing affair that I’m still working to understand. Gerson also had a complicated experience with medication. He began taking extended release Concerta after being diagnosed with ADHD in fourth grade, and took it every day until January 1 of his sophomore year, when he decided to stop. May has seen the students she works with struggle with these nuances. 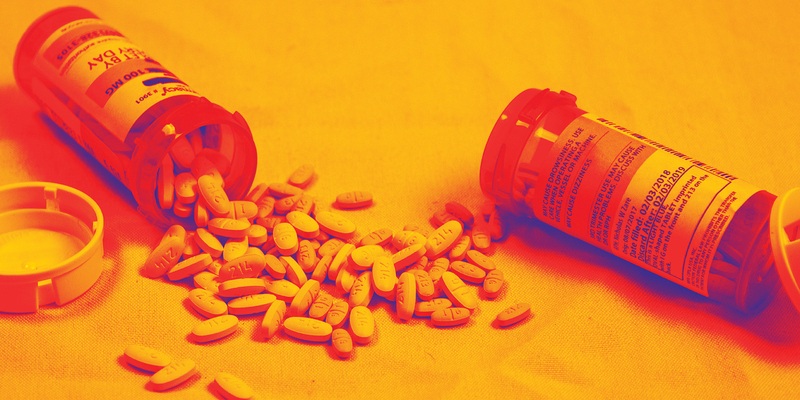 She describes a “cost benefit that I think most individuals with ADHD have to weigh every time they decide to take one of the pills.” That’s something recreational users of stimulants don’t have to consider. Many students likely hear more about ADHD medication than the disorder itself. Stimulants like Adderall and Ritalin are known for making people hyperactive, shaky and awake for hours. Abuse of these “study drugs” is a common occurrence on college campuses. But according to Schwartz, stimulants typically have a calming effect on those with ADHD. “It has the reverse effect because it’s being used on someone who truly needs it as opposed to somebody who just needs the stimulant effect to stay awake,” he says. The stimulants have had this calming effect for Diamond. “Sometimes it helps me fall asleep because it just kind of makes my mind stop racing for a second,” she says. College students popping an Addy to write papers have raised concerns about the use of drugs to treat ADHD – despite the overwhelming evidence that medication is the most effective treatment. It makes the process of obtaining it more difficult for those who truly need it. I received my diagnosis at home in Kentucky shortly before returning to school in September. To get my medicine, I had to receive a paper prescription and personally take it to a pharmacy in the area to get it filled. I couldn’t get it filled across state lines or have it sent to me across state lines. I had to schedule an appointment to see my doctor again in 30 days, and after that, every 90 days. At these visits, I have to take a drug test to ensure that the Adderall is in my system to prevent me from selling it. If it isn’t, then I can’t continue to receive a prescription. Adderall leaves the body very quickly, which means if I forget to take it the morning of my appointment or run out before my visit, I might not pass the test. Although medicine has benefits for many, it’s not a cure-all. According to Zecker, therapy that addresses issues with executive functions, such as time management skills and shifting from one activity to another, is another good tool. Executive functions are a set of mental skills involving self-control and self-regulation, especially in regards to achieving goals and completing tasks. As individuals grow older and better understand their disorder, they’re better able to manage these executive functions and figure out strategies for dealing with their symptoms. Schwartz’ behavioral interventions range from strategies to ensure patients don’t lose their keys to helping patients create detailed schedules for completing assignments. He emphasizes the importance of setting daily goals that patients know they can accomplish. Therapy can also help with conditions that are often comorbid with ADHD, such as anxiety and depression. “If a person doesn’t have external hyperactivity, internal hyperactivity - I believe it manifests itself as anxiety. That same sense like ‘My brain is always working, I’m always in overdrive,’ can feel like anxiety,” Zecker says. In addition to medication and lifestyle changes, students with ADHD and other learning disabilities benefit from a variety of services provided by AccessibleNU. Eight percent of the undergraduate body at Northwestern is registered to receive these services. “Nothing really that we’re going to do is going to make it a level playing field, but this is our attempt to get close,” May says. Common services that students receive include extended time, distraction-free environments for exams and note-taking aids. AccessibleNU offers academic coaching too. May says AccessibleNU tries to build on strategies that students have already developed. “It’s trying to assist with adapting those at the university level, always with an eye on ‘How can you be enjoying your time here too?’, or ‘How can you be happy?,’ not just an academic machine,” May says. But some academic challenges are more difficult to provide specific services for, such as difficulties with the learning environment or professor’s teaching style. To address these issues, which are persistent in higher education, May advocates for universal design for learning and an educational model that aims to create a classroom environment that is accessible for everyone. I agree with her sentiments – although I’ve only spent a short time here with my diagnosis, I’ve already begun to better understand this aspect of my identity. When I first heard comments questioning how I could be a successful Northwestern student if I struggled with ADHD, I didn’t have an answer. But now I know the answer: people with ADHD are not less intelligent than those without it. We are here at Northwestern, and we don’t have to justify how that happened. You may not see us – we likely won’t look like the stereotype of ADHD that you have in your head. ADHD manifests in many different ways, like fidgeting, impulsiveness, daydreaming, disorganization and a myriad of other symptoms. But we are not less driven or hardworking or talented. We have a unique set of struggles that our peers don’t have, and we’re still here. And we’re thriving. © North by Northwestern, November 30, 2017.